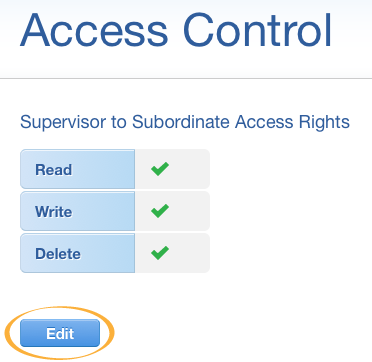 By default, each user can read their own data only, while the supervisor can read subordinate's records. However, you can create the scenario for your company through the control on access rules, transfer control and access groups. The default setting is [Read only]. 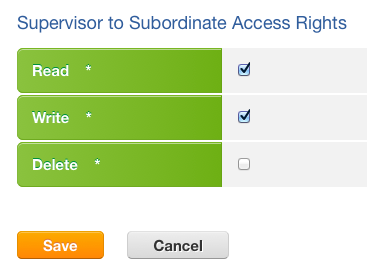 You could modify it at the section of [Access Control] in [Admin]. Click the [Edit] button under the access table. Enable or disable the access. Then click [Save]. Learn more about building users hierarchy structure. By default, records are private to other users except your supervisor. If you want to grant the access to users in peer group, you need to add a new access rule. 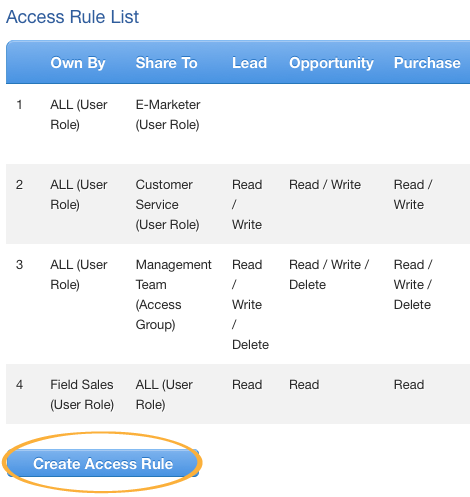 Click [Create Access Rule] under the [Access Rule List] table. By default, only supervisor can transfer records to subordinates. If you want to allow subordinates transferring records to supervisor or users in peer group, you need to add a transfer control list. Enter [Access Control] in [Admin]. Click the [Create Transfer Rule] button under the [Transfer Rule List] table. 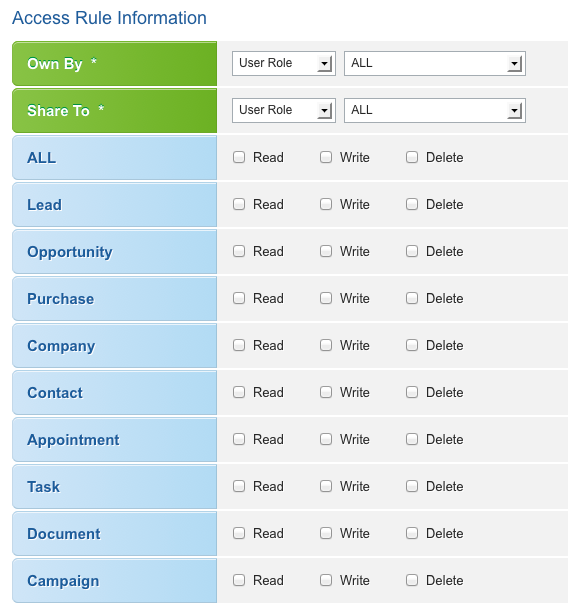 As mentioned above, you can control the data access between different user roles, but how about some users instead of all users within the same group? 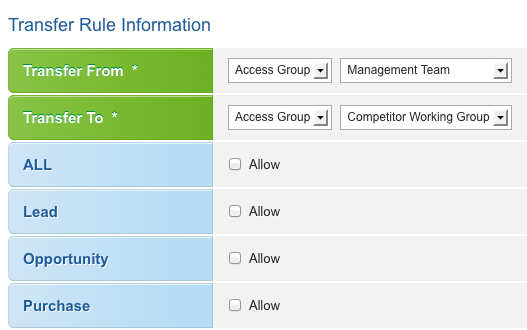 You need to create new access groups at the section of [User] in [Admin] panel. Secretaries always need to handle tasks from boss, so they may need to search data and distribute sales lead for him. They works as a team, so may need to share records to other users. 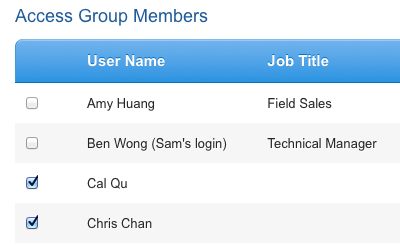 Click the [Create Access Group] button under the [Access Group List] table. Give a name to this group and fill in the description of this group (if needed). Then choose users who you want to add to this access group. Learn more about [User Role].